Singer Christina Aguilera sings the National Anthem during Super Bowl XLV at Cowboys Stadium on February 6, 2011 in Arlington, Texas. She's been given an offer to reboot her performance. O say can you sing that again? Grammy-winner Christina Aguilera has reportedly fielded an offer to sing the National Anthem at a minor league baseball game, two days after her much-publicized Super Bowl blooper. The Brooklyn Cyclones invited Aguilera to sing The Star-Spangled Banner at one of their home games this summer, The Associated Press reported on Tuesday. 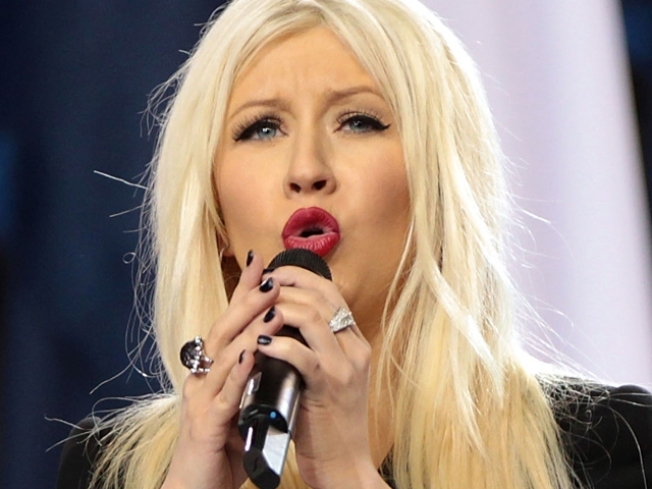 Aguilera -- the latest in a long line of performers to screw up the Francis Scott Key-penned anthem -- has continued to take heat since mangling the fourth line of the song on Sunday. Aguilera said in a statement after the performance that she could "only hope that everyone could feel my love for this country and that the true spirit of its anthem still came through."